You are at:Home»Study Materials»Case Analysis»The National Herald Case, Why Sonia Gandhi and Rahul Gandhi are under scanner? It is no less of a shame for the people of India to know that their own elected candidates can stoop so low. The National Herald Case is viral all over the newspapers and the internet. The National Herald is essentially a newspaper that was started by Jawahar Lal Nehru in 1938. The paper was shut down in 2008. Some people, including Sonia Gandhi and Rahul Gandhi, were on the board of directors of Young Indian Ltd (YI), a company that was incorporated in 2010 and which took over the alleged ‘debt’ of Associated Journals Ltd (AJL), the publisher of National Herald. In this entire case, the main accused are Sonia and Rahul Gandhi. CHARGED: Prima Facie case against the accused under section 403 (dishonest misappropriation of property, 406 (criminal breach of trust) and 420 (cheating) read with section 120B (criminal conspiracy) of IPC. The complainant( Subramanian Swamy) hasalleged that in the present scenario, over Rs.2,000 worth of assets also got transferred to YI (Young India Ltd.) , whose 76 per cent of shareholding rests with Sonia and Rahul and the remaining shareholding of 24 per cent rests with the other accused. Well, the case really caught fire on 27th June when Rahul and Sonia Gandhi were summoned by a Local Court. On June 28, Congress Friday said that YI was a company that was incorportaed in 2010 and this company took over the debt of Associated Journals Ltd, which was a non-profit company under Section 25 of the Companies Act and therefore, the arguments of assets worth Rs. 200 cr. of ALJ could be used as personal gain does not have much support. Also, Congress wanted to move over to the High Court stating that Swamy has no locus standi. On 4th July, Swamy sought to investigation by Enforcement Directorate. On 9th July, the IT department sent notices to Young India and Associated Journal Ltd (routine notices) for providing details of all creditors, debtors and investors. Contemplating those finds will the accused will be served with a notice. 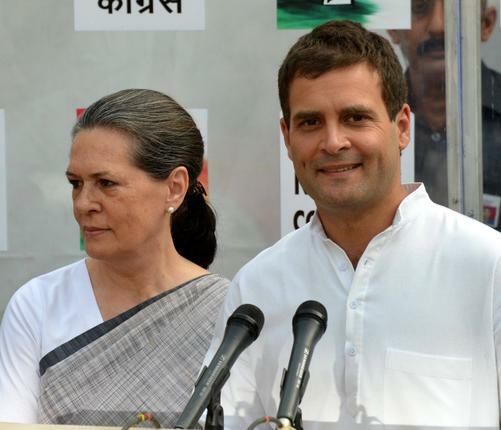 Sonia Gandhi has accused the government of being vindictive and calls this “the political witch hunt”. On 31st July, the Delhi High Court summoned Sonia Gandhi and Rahul Gandhi (along with the 5 other accused). On 6th August, Kapil Sibal went on to say that payinf off a loan by a political party is not illegal. The trial court had asked the accused to appear in court on August 7 but, later on, it was said that they were exempted from being physically present during the hearing. CONCLUSION: The facts might twist and turn as that is what really happens in our country. But, if the aforementioned charges are proven, the accused will be imprisoned for up to 10 years. The court is trying to deal with this situation as delicately as possible.